Speed is of the essence at a bus stop. If you want to board, you need to find the button to open the door quickly. 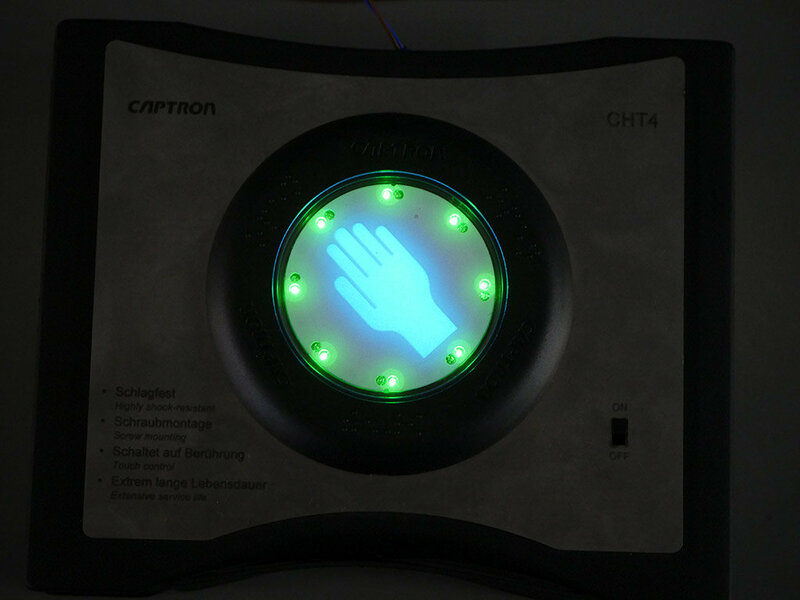 LEDs light up in a circle around the corresponding hand symbol, but at night the diodes can be so bright that it can be difficult to see, especially for older people. 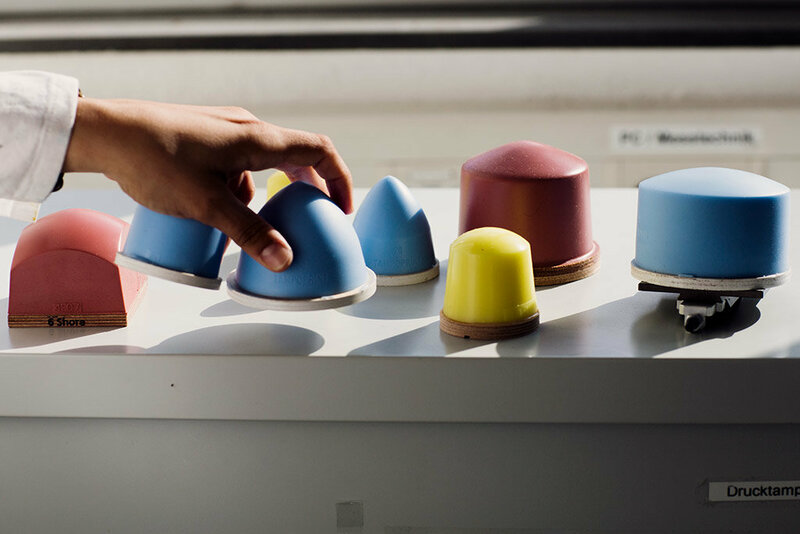 Bus manufacturer EvoBus of Mannheim is therefore looking for ways to produce a new kind of button that does not dazzle and yet remains clearly visible in any light conditions. A team under Dr. Hans Martin Sauer of the Institute of Printing Science and Technology (IDD) at the TU Darmstadt, which is run by Professor Edgar Dörsam, has addressed the problem, and is researching an innovative process for printing luminescent materials in the project “Electroluminescence display in capacitive sensor technology (ELSE)”. The advantage of these materials is that once voltage is applied, they light up gently by themselves – making LEDs superfluous. “What is required is a precise and efficient printing process that allows us to produce any motifs using the minimum amount of materials, ” says Sauer. The project is supported by the Federal Research Ministry in the initiative “KMU-innovativ: Photonik/Optische Technologien”. As well as EvoBus, the partners include the companies Captron Electronic in Olching and Franz Binder in Neckarsulm. The research team opted for the pad printing process. It is used for products with uneven surfaces, such as model railways and PC keyboards. An elastic pad made of silicone rubber takes up the colour from a print form and transfers it to the object. “The pad printing process is extremely flexible,” says Sauer. “But because no one has ever combined it with luminescent material, there are no standards.” These materials are usually applied by screen printing because they are quite coarse grained – seen under a microscope, they look like a cinder track. A door opening button like this with a printed illuminated hand symbol is to be used on public transport. Credit: Franz Binder GmbH & Co. The printing process is only one part of the project – another difficulty is accommodating the control electronics for the button in the smallest possible pace so it can fit inside the corresponding housing on the buses. Plus it should be contactless. The IDD is therefore collaborating with the Department of Integrated Electronic Systems (IES), Professor Klaus Hofmann. “We are developing a chip that will control the lighting and the sensor,” said Katrin Hirmer of the IES. “It will also ensure that the electroluminescence and sensors are not affected by interference signals.” A prototype has already been made. Now it’s down to the finishing touches. As the printing process can print various motifs without adjusting the system, it will also be easy to print the appropriate buttons for instance for hospitals or for machinery and plant engineering. Even Asian symbols would not be a problem, so this innovative technology is most definitely ready for the global market.